What Is CRO and Why Does It Matter? 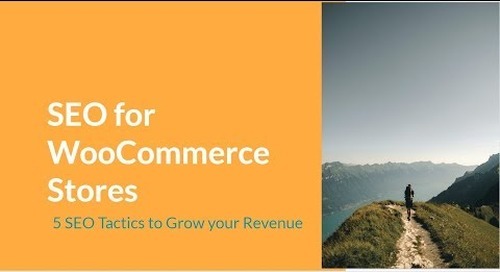 Home » eCommerce » What Is CRO and Why Does It Matter? The act of walking into a physical store, paying for an item, and leaving has been replaced by a meandering, unpredictable consumer journey. For example, an online customer today might start his or her journey by clicking on your banner ad, arriving at your site, but leave without buying anything. Within the span of a week, they might receive a retargeting ad, hear a TV spot, read an online review, and get a recommendation from a friend before finally coming back to your store to actually buy. The chaotic nature of today’s purchase journey makes predicting and prompting customer actions more necessary than ever. To get visitors to convert to customers, you have to optimize your entire marketing strategy and eCommerce store design. That means: removing barriers to purchase, enticing specific actions, and creating a pleasing and safe experience for customers. Conversion rate optimization is the way to do all of this. Conversion rate optimization or CRO is the practice of raising your conversion rate by compelling visitors to your site to take specific actions like buying a product, downloading a PDF, or subscribing to a newsletter. Although CRO is often used to make small, incremental improvements, its broader purpose is to optimize your entire marketing process—to make everything work smoothly. And the more optimized your marketing, the higher your conversion rate. CRO and SEO (search engine optimization) are slightly connected but essentially very different strategies. The distinction is that CRO is concerned with how humans experience your website, SEO is only concerned with how machines, algorithms, and Google bots interact with it. CRO and SEO focus on different stages of your sales funnel. Optimization for search engines happens earlier in the funnel—getting visitors to click through to your store. CRO takes it from there—visitors are here, now let’s convert them to clickers, shoppers, scrollers, and subscribers. CRO and SEO do interlap at times. For example, if you optimize your blog copy for specific keywords, you simultaneously improve its readability and clarity for human readers, too. Streamlining your website architecture is another example of CRO and SEO working together. Example: You sell a downloadable e-book to 100 people. Divide the total buyers by the number of visitors to your site. If 100 people bought the e-book and 800 visited your site, your CR would be 12.5% (800 ÷ 100). If your conversion rate rises, that means more of your customers are making it to your product pages, opening your emails, and subscribing to your service. By making small marketing CRO tweaks, you pay the same amount to attract customers but raise the number of actual buyers. Higher conversion rates mean customers are finding it easy to navigate your site, locate the right products, and make a purchase. Higher converting visitors spend more time on your site, leave more positive reviews, and leave as satisfied customers. More importantly, these happy shoppers will convince their friends and family to visit your store. More traffic for you. CRO always puts the customer front-of-mind. When you make a design change to your website, taking a CRO approach helps you look through the eyes of your customers, not the preferences of your web designer or your own proclivities. Customer-centric decisions about design, copy, or ad placement have a better chance of increasing your conversion rate. To achieve the best conversion rates, entrepreneurs and marketers stick to four basic CRO principles. Customers take the next step in your sales funnel when they understand what sets you apart from the competition. If your value prop is your price, increase the font size and bold that price tag. If it’s the quality of your service, devote an entire section of your homepage to laying out your case. Customers will compare you to other businesses, and they’ll convert more when they understand the advantages you bring. Half-priced sales, 30-day trials, and free downloads increase conversions because they incentivize shoppers to act. But there’s way more to customer motivation than just giving away free stuff. Money-back guarantees and social proof also move customers to convert. The quality of your “About Us” page and FAQ page can determine whether a visitor clicks through to your product pages or bounces. Well-composed product photos entice customers to buy. Even the quality and usability of your blog articles incentivize customers to share your content and return for more. These are just a few of the biggest barriers to online purchase. Remove them and your incentives will work more effectively. Like a deer in the headlights, customers who feel unsafe about your brand or your process are hesitant to act—no matter how big the incentive or low the barrier. Many things affect a customer’s comfort level, from your home page’s color design to the payment gateway you use. Some marketing strategies come with a tinge of distrust already attached to them. For example, pop-up ads on your homepage are effective at getting people to convert to subscribers. But they also carry a stigma because they’re used by cyber thieves to steal information. Plus, they’re annoying. Weigh the costs and benefits of every part of your marketing plan and never sacrifice customer trust for an easy conversion. Much like the scientific method, optimizing your conversion rate includes gathering data, running tests, and making conclusions. The insights you collect add to your overall understanding of your marketing plan and your customers. Here are the steps of the CRO process. Gather Data. Gather what customer and website data you have now. Identify what conversions you are trying to achieve. Establish a baseline for your future changes. Form Hypotheses. Using your data, make an educated guess about what you expect will happen. 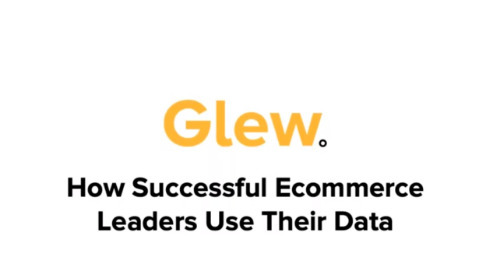 Identify the audience and metrics you need to measure (e.g., click-throughs, downloads). Run a Test. Prepare a test of your hypotheses and make your changes. Make sure you’re accurately tracking your conversion data. Analyze. Given the outcomes, can you say your hypothesis was correct? If not, what happened? Was your prediction flawed? Maybe something went wrong with the test. Repeat. Gather your new data and form a new hypothesis. CRO is a process that’s self-correcting, transparent, and honest. It keeps you from injecting your own biased perspectives about what’s working and what isn’t. Here are some immediate steps you can take to start optimizing your conversion rate. One of the easiest, most effective methods for doing CRO is A/B testing. The testing method works for anything you want to change. So, it doesn’t matter if it’s a website design overhaul or a slight adjustment to your product page copy. A/B testing is multivariate testing, which means you set up variations (an A and B version) of something (e.g., landing page) and split your traffic going to them. Then you simply compare the conversion rates for both. When you analyze the data, you can use these A/B testing results to inform your next steps. There are A/B testing plugins available for WooCommerce users as well as entire platforms devoted to A/B testing your website and marketing strategy. You need to setup conversion tracking to see if and how your customers are converting. The process is essentially tagging a specific group of customers to see how they got to your site and what they do once they arrive. It’s a powerful tool for CRO. Setting up conversion tracking in Google Analytics is a quick way to get started gathering data about your customers’ behavior. A popular tracking method is to use conversion actions in Google Ads to determine the ROI for your ad spend. It’s easy to get Google Analytics connected to your WordPress site if you haven’t already. With Google Ads conversion tracking, you can view the number of downloads and purchases within your app. Or track a customer’s journey that starts online (e.g., clicks an ad) but finishes offline (e.g., signs a written contract). Here’s an eCommerce stat you’ll want to remember: 57% of all online consumers will abandon a site after waiting 3 seconds, and 80% will never return. The speed of your website underpins every CRO action you take. Your customer experience may exceed the next 10 competitors, but if your product pages load slower, they’re going to beat you anyway. No one wants to pay for a $75 steak if it takes an hour to get to their table … and it’s cold when it arrives. When you do a website audit, test your page load times to see if they’re up to spec. There are plenty of simple ways to improve your website speed. But start with your foundation—your web host. Not every web hosting service meets the needs of an eCommerce site. 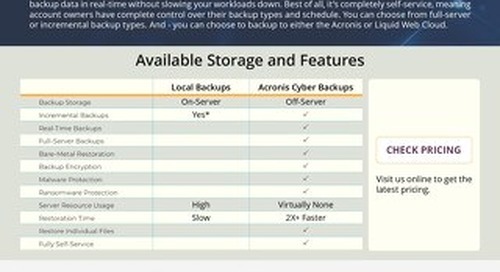 Find a web hosting plan designed for eCommerce and one that gives you the power of customization. Many eCommerce platforms offer templated storefronts that are difficult to customize. That certainly plays against any CRO strategy. You can’t optimize without changing things, and you can’t change things if your web host doesn’t let you. Good CRO is about making changes that are informed with reliable and relevant data. But never forget the subjective component—your customers. Data analysis and conversion tracking alone don’t tell the whole story of your customers’ journey. CRO also requires you consider the subjective—how your customers feel when they visit your site. To run CRO like a pro, you’ve got to empathize with your customers, look through their eyes—surf a mile in their browsers. With that in mind, re-read your persona descriptions, clear your browser cookies, and peruse your own website like a new visitor. Sign up for your own newsletter. Talk to your customer support. Search for products and go through the checkout process. Note any barriers to your navigation. Go with your first instincts. What felt even a little awkward? What felt right? After doing a customer-centric site analysis that looks at these enticements and barriers, you’ll have a better appreciation for what your customers are seeing. Take those insights into your next CRO strategy meeting. Liquid Web’s Managed WooCommerce Hosting was designed from the ground up to reduce query loads by 95%, ensuring your store runs quickly and converts more visitors. 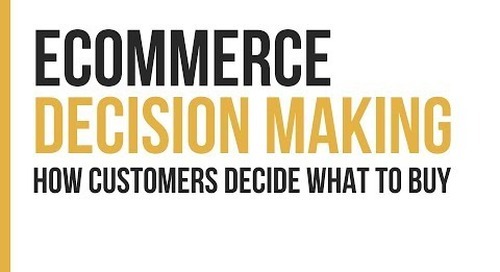 And with the customization WooCommerce allows, it is perfect for A/B testing and CRO. The post What Is CRO and Why Does It Matter? appeared first on Liquid Web.